the Chief Product Officer at Near to revolutionize the senior healthcare industry. User Experience Design starts from the inception of a product and its features. Instead of wrapping a raw technology in pretty clothes, my method is to work closely with everyone from product management, engineering to marketing and account managers, starting at the initial conception and definition stage to shape the product and its features from the user's point of view. "Let me mock that up real quick and show it to you" goes long way in the fast-paced start-up environment. I take pride in being an experienced hands-on designer before being a director or a manager. Throw anything at me — proof-of-concept designs, information architecture, mockups, specifications, technical vendor communications, ID drawings and everything in between. Hands-on is good, but where do you go from there? I believe setting up a design methodology and building an evolvable creative team environment will be the key to push the business and its products to the next level. I strive to mentor designers, develop future innovations and collaborate with investors, parters and customers, and above all, to create the next greatest product for the future generation. As the newly appointed Director of UX at Piper, my first focus was to revamp the mobile app design and its front-end architecture for better usability and future-proof the platform for new features, RMR models and B2B solutions while ensuring the current and future compatibility with the backend architecture and the hardware products. I was also responsible for the documentation of the UX specifications, establishing and maintaining the feature definitions, terminologies and interaction models across the platform. Establishing a streamlined workflow from the product/feature inception to specification and implementation built a strong relationships and collaborations between product management and engineering. I also oversaw and contributed to establishing the marketing messages and user-facing documentations to ensure the consistent user experience of the products. For end-to-end user experience of the product line, my team maintained the package designs, marketing collaterals, user manual and other customer-facing documentations. With the branding revamp, I also led the documentation and ongoing maintenance of the branding style guide, future product packaging design direction and internationalization of all materials. I led the development of the industrial design definition and requirements of the next-generation Piper products. Working closely with the CMO, the product strategist and the 3rd party design firms, we established a new design direction that speaks to broader audience while maintaining the iconic aspect of the current generation products. During this process, I also led the user testing, internal and external usability analysis, design firm competition, CMF direction and executive team/investor presentations. The new generation of mobile app had to be easily brandable for international service provider customers. Alongside with the new framework that is highly modular and adaptable, I developed a “branding kit” that could easily bespecified by customers and their account managers, implemented with a minimal code change and QA efforts while clearly separating the branding elements from the core functionalities. The new platform was also designed to be easily localized including right-to-left language such as Hebrew. As the Lead UX and Visual Designer, I designed the new generation of mobile apps and touch-screen device UI, then later more comprehensive front-end architecture for Icontrol Networks, deployed to ADT Pulse™ platform and other service provider solutions, serving millions of homes. Working closely with designers, engineers and product management, my design enabled the entire platform to move forward and evolve into the next generation of professionally monitored home security and smart home solutions. 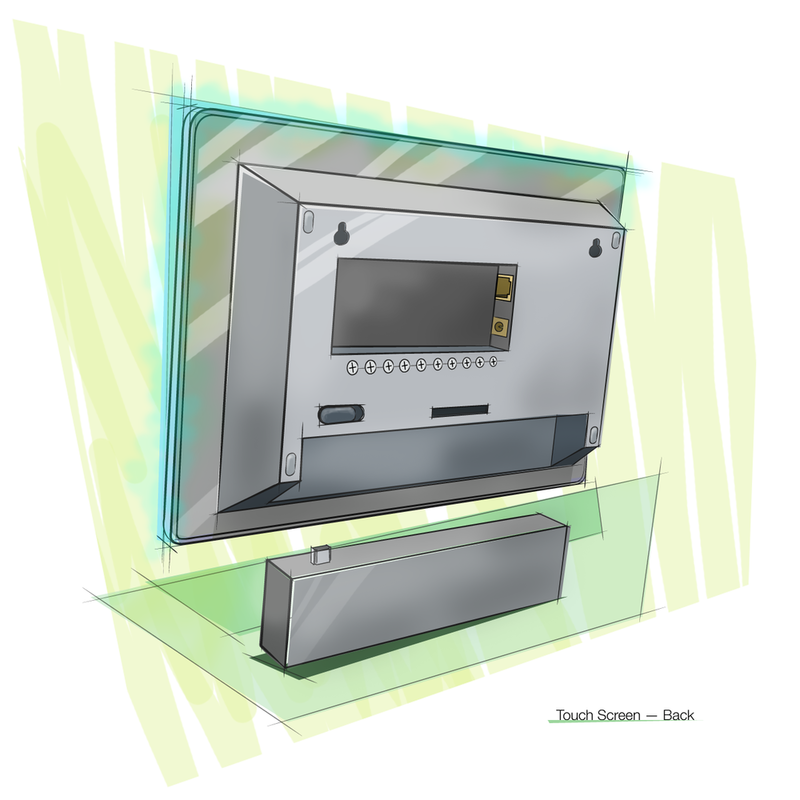 The app UI was designed to be highly customizable and adaptable for new features and accessories, and the innovative 3D Home View and intuitive installer solutions were awarded with multiple design patents and won several competitions and awards in the industry. Working closely with the GM, senior directors and the CMO, I also designed various concept models both software and hardware for the B2B customers, partners and investors. Visualizing the concepts and bringing them to reality isn't just for software products. I’ve designed a range of new generation hardware products and their UI. Several of them are now used in the wild. Working with Marketing, CMO and external vendors, my team have executed identity, branding, marketing, and interaction designs for the corporation, including a brand-new corporate identity system development, website redesign, trade-show booth designs and more. Extending the definition of user experience to the integrity of branding presence, I led the effort of branding style guide documentation for the corporation and its Connect product lines. 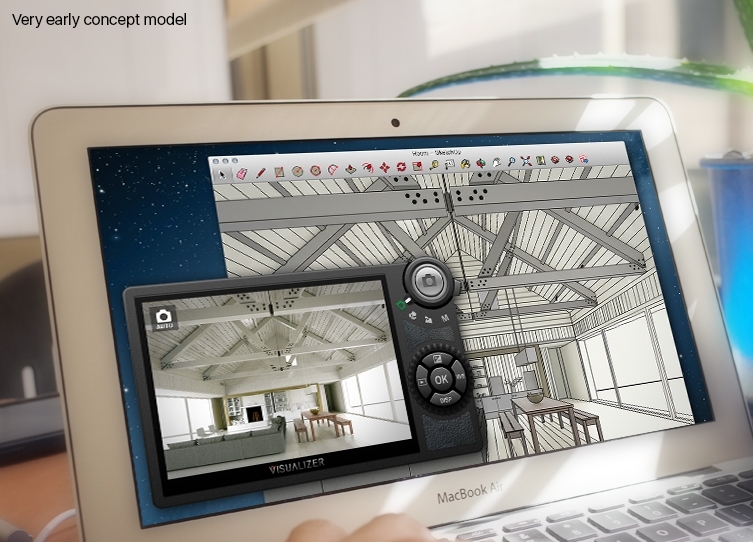 As a part of Visualizer division’s management team at Imagination Technologies (IMG.L), I designed the front-end architecture, interaction model and strategic framework of Visualizer for SketchUp, the next-generation real-time raytracing plug-in for the massively successful 3D modeling tool suite SketchUp. What if you could just look into your viewport of SketchUp with a "virtual camera" and you could get a beautifully raytraced rendering in real time? You can tap to focus, change "lens aperture", move things around, and you will see a photographic image showing up right in front of your eyes. 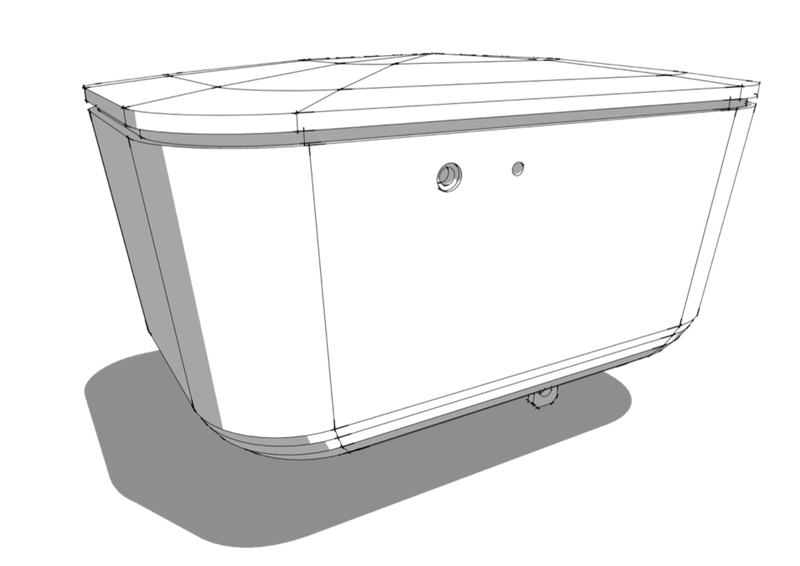 If you know anything about 3D design, you know it is a LOT easier said than done. Working closely with the visionary GM, my team and I designed everything from the feature definitions, software UI, interaction conventions to the specification documentations. This effort included everything from the visual design, customer/partner relations, user testing to marketing collaterals including videos shoots and interviews of the industry pioneers, and the industrial design of the hardware products. © Suguru Nishioka. All rights reserved.